Durham, NC (July 11, 2018) — Physician and former U.S. Navy Special Operations, Surface Warfare and Deep Sea Diver James M. Chimiak, M.D., is the recipient of the 2018 Undersea and Hyperbaric Medical Society (UHMS) Excellence in Diving Medicine Award. Previously known as the Craig Hoffman Memorial/Charles W. Shilling Award, the Excellence in Diving Medicine award is presented to UHMS members who make outstanding contributions to teaching, education, science, and/or safety in the field of diving medicine. The 2018 award was presented by Richard Moon, M.D., of the Duke Center for Environmental and Hyperbaric Medicine on June 30 at the UHMS annual scientific meeting. "I'd like to express my gratitude for the award and thank the many medical professionals who support DAN's effort to secure the best treatment for injured divers," said Chimiak. "We could not do what we do without the tireless work of the DAN medical information specialists and the physicians with whom we collaborate." A triple board certified physician (in hyperbaric medicine, anesthesiology and chronic pain management), Chimiak is the medical director at Divers Alert Network (DAN), where he oversees DAN's emergency management and medical operations. He also provides oversight for DAN's first-aid training programs and is the liaison to the DAN Physician Network and visiting hyperbaric fellows. 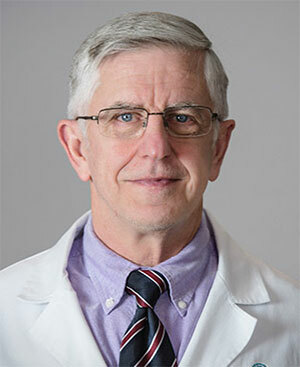 In addition to his work at DAN, Chimiak is an anesthesiologist at Blueridge Healthcare and a clinical professor at the Edward Via College of Osteopathic Medicine. Throughout his career he has worked to improve patient care in remote and challenging environments including diving, aviation, aerospace and the military. He has been recognized for his work by Duke University as well as his peers in the industry and has received numerous U.S. Navy and Presidential Unit Commendations. "Recipients of the UHMS Excellence in Diving Medicine award have historically been among the best and brightest minds in dive medicine; their dedication to improving diver safety makes them examples to divers and physicians alike," said DAN President and CEO Bill Ziefle. "Dr. Chimiak exemplifies the spirit of this award, and his years of dedication to helping divers in need are a testament to his character and abilities." About UHMS: Formed in 1967, the Undersea and Hyperbaric Medical Society (UHMS) is an international nonprofit association serving some 2,000 physicians, scientists, associates and nurses from more than 50 countries in the fields of hyperbaric and dive medicine. The UHMS is an important source of scientific and medical information pertaining to hyperbaric medicine involving hyperbaric oxygen therapy and diving through its bimonthly, peer-reviewed journal Undersea and Hyperbaric Medicine as well as symposia, workshops, books and other publications. It organizes an annual scientific meeting to permit review of the latest in research and treatment and to promote the highest standards of practice. About DAN: The world's most recognized and respected dive safety organization, Divers Alert Network (DAN) has remained committed to the health and well-being of divers for 38 years. The organization's research, medical services and global-response programs support an extensive network capable of reaching divers with vital injury-prevention initiatives, educational programs and lifesaving evacuations. Every day, hundreds of thousands of divers around the world look to DAN as their dive safety organization.